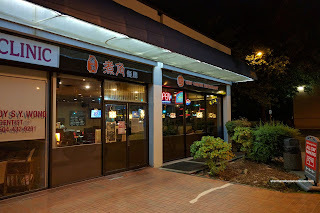 The dearth of Hong Kong-style cafes in Burnaby has always been perplexing to me. 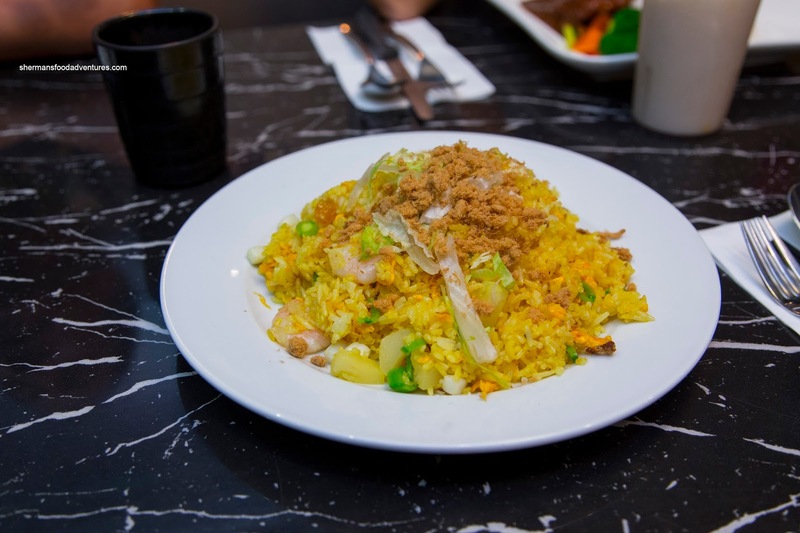 With a substantial Chinese population, it also is confounding that there are so few good Chinese restaurants in general. However, things are definitely changing with more choices for all forms of Asian cuisine opening up, especially near Metrotown. 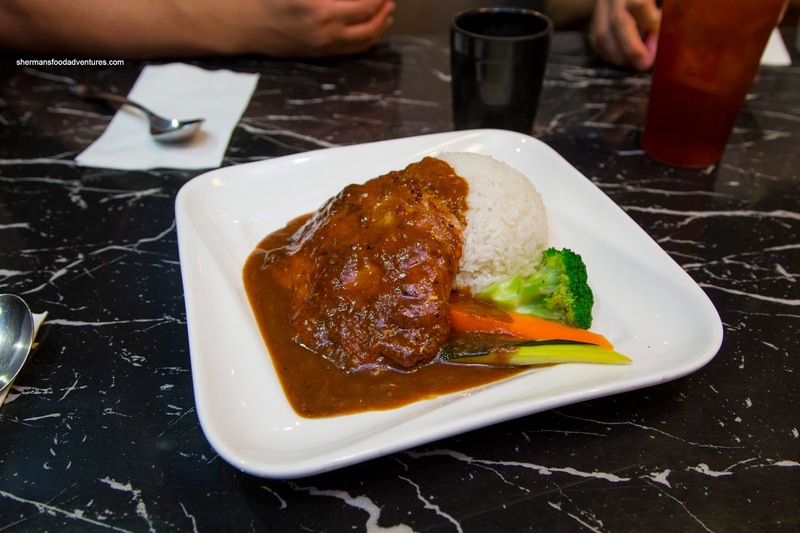 So back to the HK-style cafe, other than the Boss, there are not much to choose from in Burnaby. However, located in the old Black Dragon Sushi, Chef Corner offers up late night HK-style cafe favourites. We ended up checking it out one night after hockey. I decided on the DIY Noodles with fish soup, brisket, pork cheek and lai fun. As much as the broth had flavour, it didn't taste like fish. In fact, it was rather salty lacking the natural sweetness from fish. The noodles were good though being slippery and al dente. I wasn't a huge fan of the brisket as each piece was dry and chewy (and salty). I loved the ample pork cheek though as it was buttery and slightly chewy. 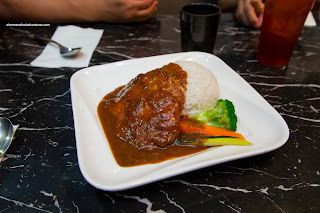 I also got the Baked Pork Chop on Rice which was a decent portion for a mini-meal. The rice was chewy and dry enough to stand up to the ample amount of sauce, which was slightly tangy, plenty sweet and cheesy. For the life of me, I'm not sure why people put half-raw onions underneath the pork chop. It was both too pungent and unappealing in texture. As for the pork chop, it was meaty and substantial. It wasn't super tender, but not chewy either. Milhouse was a bit indecisive and eventually ordered the Beef and Tomato on Rice (I almost convinced him to order 2 things...). He found the beef to be tender while not over-marinated. Slightly tart and completely fresh tasting, the tomato sauce was well-balanced and not overly saucy. Again, the rice was chewy and somewhat dry, which worked well with the wet ingredients. Bear ended up with the Black Pepper Chicken Steak with rice and veggies. He found the chicken to be succulent and tender. It was doused in a peppery and salty sauce that had a nice consistency. We did taste some beef bouillon that gave off aftertaste though. 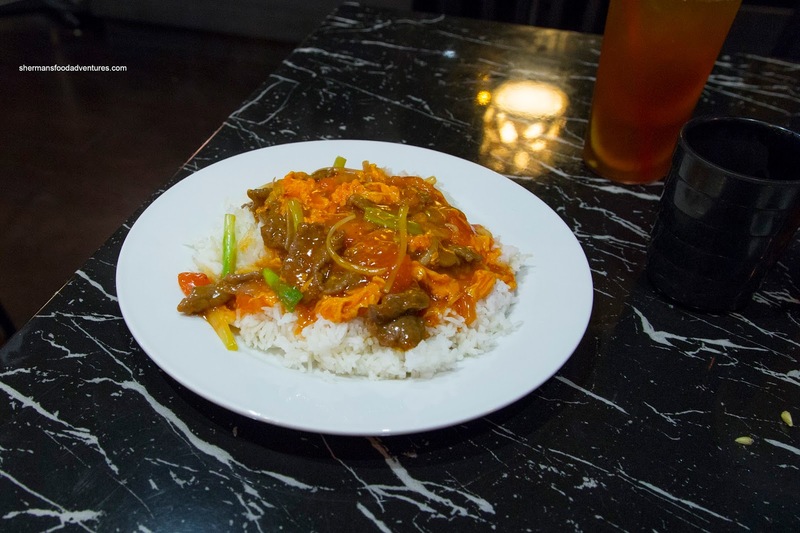 On another visit, Lionel Hutz had the classic Stir-Fried Flat Rice Noodle with Beef. 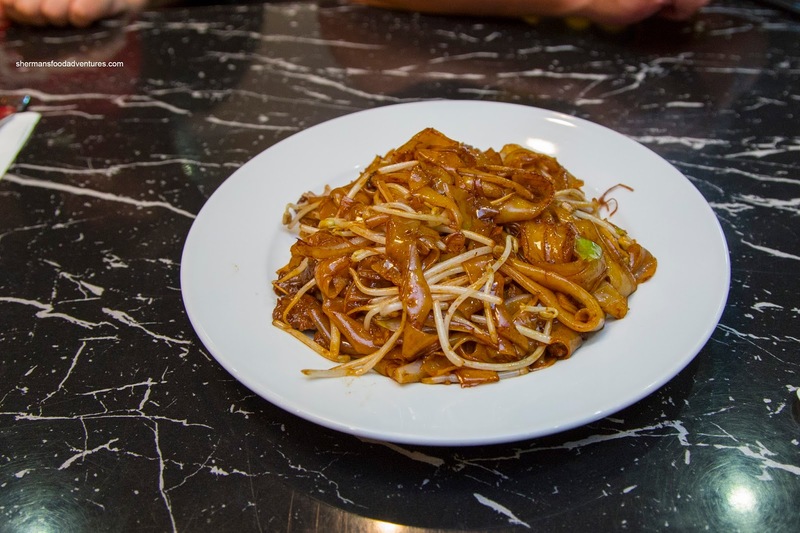 It was characteristically greasy as the noodles need oil to keep it from sticking to the wok. Of course, high wok heat would help in this regard and the dish more or less exhibited that with caramelized flavours and colours. 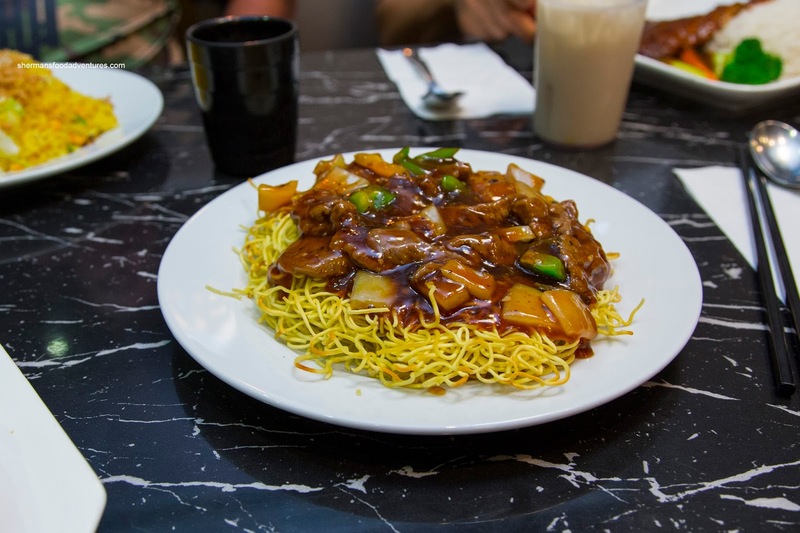 The noodles were on point texturally being soft while maintaining an elasticity while the beef was tender. 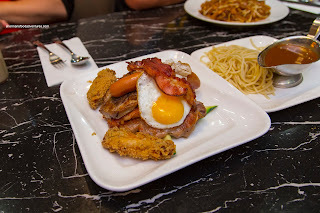 For myself, I went for the Mixed Grill consisting of pork chop, chicken steak, ox-tongue, weiner, bacon, egg and fried chicken wing. This also came with spaghetti, soup, toast and a side of sauce (I went for the black pepper). I thought all of the meats were on point except for the chicken wing as the coating was too thick where the skin wasn't rendered. This was a substantial amount of food for one person. Our third visit yielded the Malaysian Seafood Fried Rice and the Black Pepper Beef Fried Noodles. Although the rice was on the soft side, it was hardly wet. There was a decent amount of wok heat that resulted in correctly cooked shrimp and slightly caramelized pineapple. We liked how the lettuce was not limp and still retained a crunch. The dish was a little underseasoned though. As for the fried noodle, it was crunchy while not greasy. The black pepper sauce was somewhat different than the chicken steak where it tasted peppery and not as salty. The beef was properly tenderized being tender with a rebound. 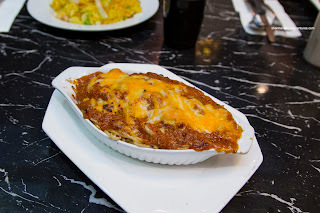 For myself, I did the 2-item thing again starting with the Baked Spaghetti Bolognese. This was a generous portion of slightly soft noodles topped with a fairly well-balanced meat sauce. Naturally, this was classic HK-style where there was a slight star anise aftertaste. There was a good amount of cheese on top too. 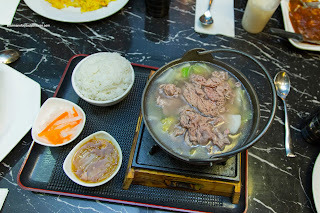 I also had the Beef Hot Pot which was fairly bland, but did sport a decent portion of tender thin-sliced beef. 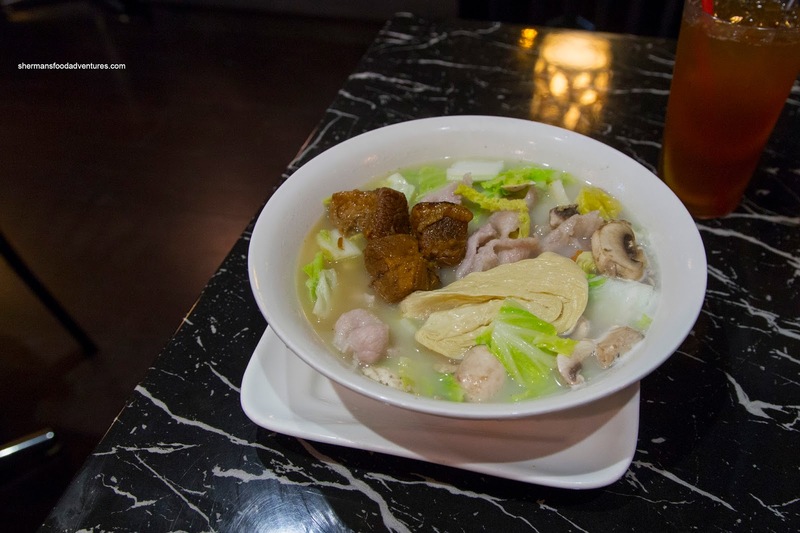 It was too bad the soup did not exhibit any developed flavours since the rest of the ingredients were on point. 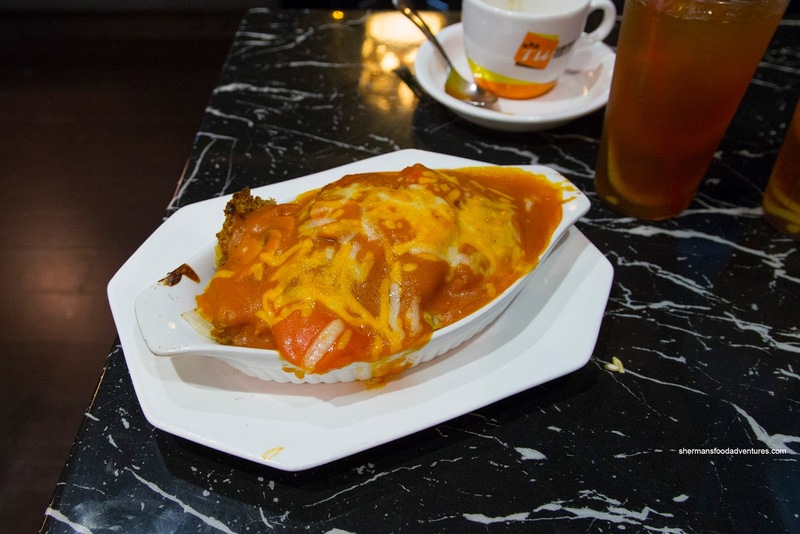 Overall, we thought the food at Chef Corner to be serviceable and reasonably-price. However, it can be a bit hit and miss. I guess that is good enough for late night and especially in Burnaby.